Now Shinsen-en garden is not very large and it takes about 10 minutes to walk around. 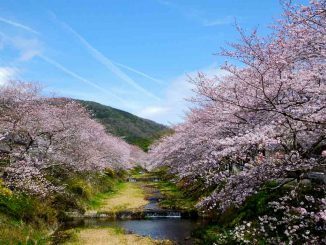 In the Heian Period (794-1185), however, it was 15 times as large as today’s Shinsen-en garden, and it was rich in nature. 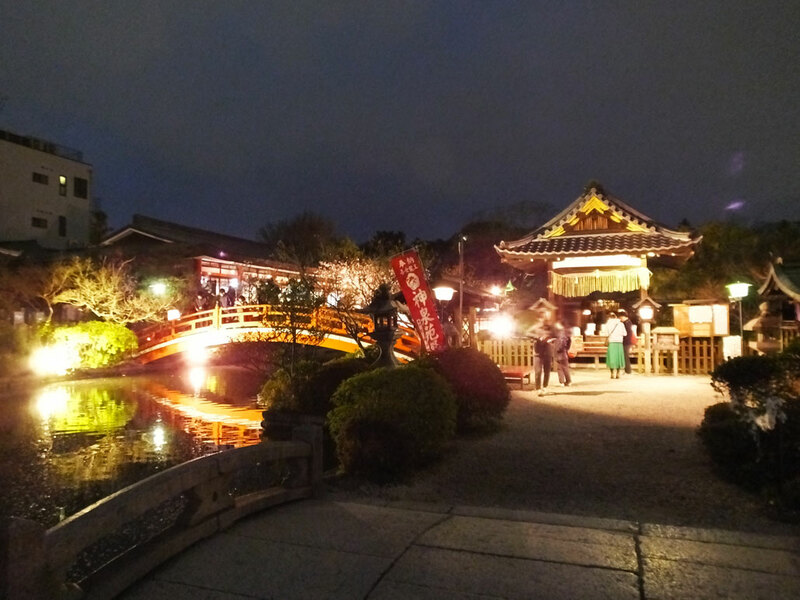 It was the Emperor Saga’s garden where he and the nobles enjoyed boating, eating and drinking surrounded by the nature. 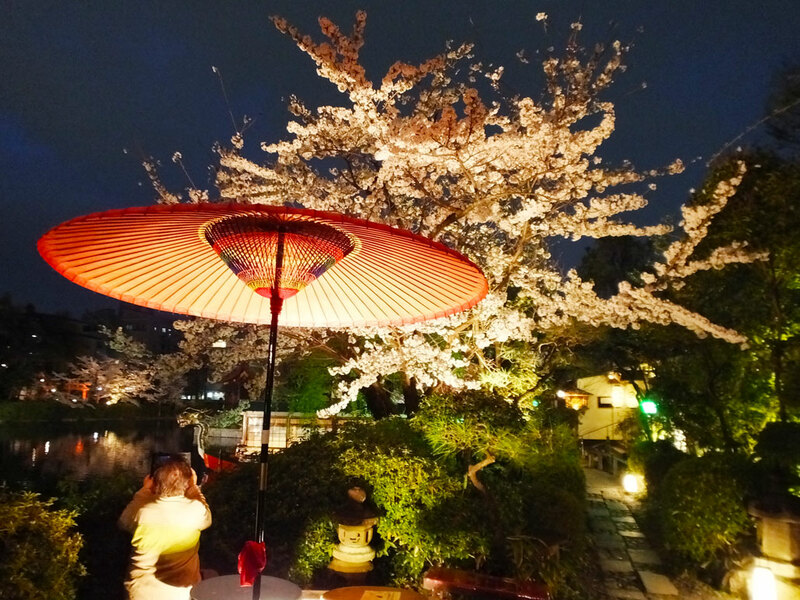 According to a historical record, Emperor Saga had a sakura-viewing party in the garden in 812, and this is thought to be the first sakura viewing in Japan. 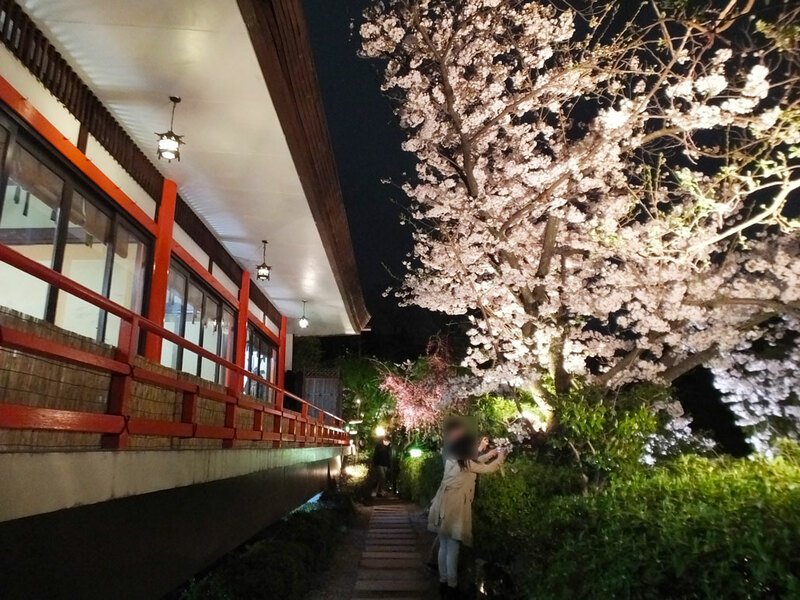 After Emperoe Saga’s sakura-viewing party, the custom of sakura viewing spread among the nobles, and then among the public, too. In the middle of Hojoju-ike lake, there is a shrine called Zennyo-Ryuo-sha (the building in the right side of the next picture). 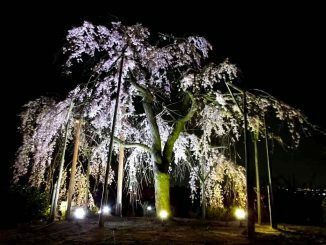 It is believed that it was built because a dragon-goddess, Zennyo-Ryuo can make the rain fall from the sky, and thanks to her, a rainmaking ceremony held in Shinsen-en garden went well and the city of Kyoto was protected from the drought in 824. Also, it is believed that she lives in this lake. The vermilion bridge in Hojoju-ike lake is called Hojo-bashi. This is one of my favorite bridges in the world. 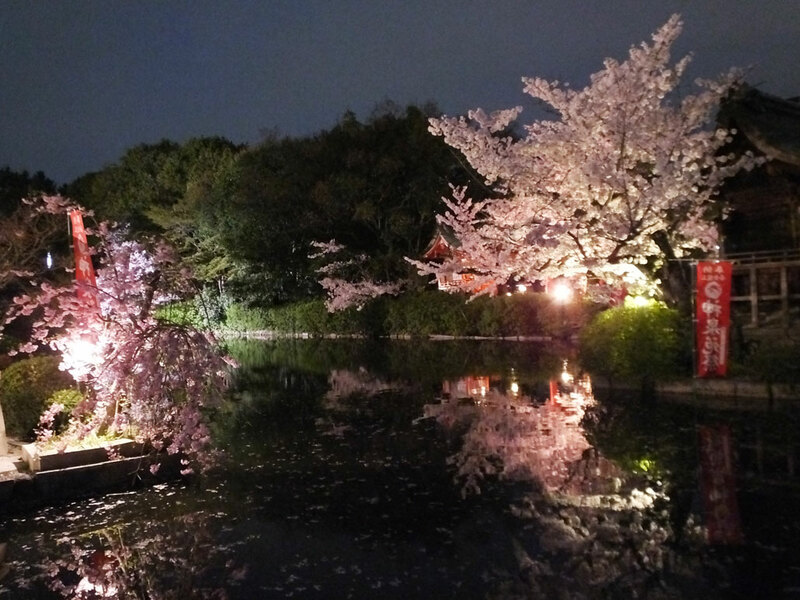 Hojo-bashi reflecting in the lake is a must-see because it is a symbol of Shinsen-en garden. 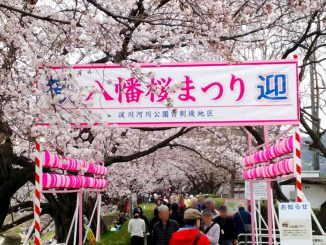 People believe that if a prayer crosses the bridge wishing only one thing, goes to Zennyo-Ryuo-sha shrine and prays there, the wish will come true. 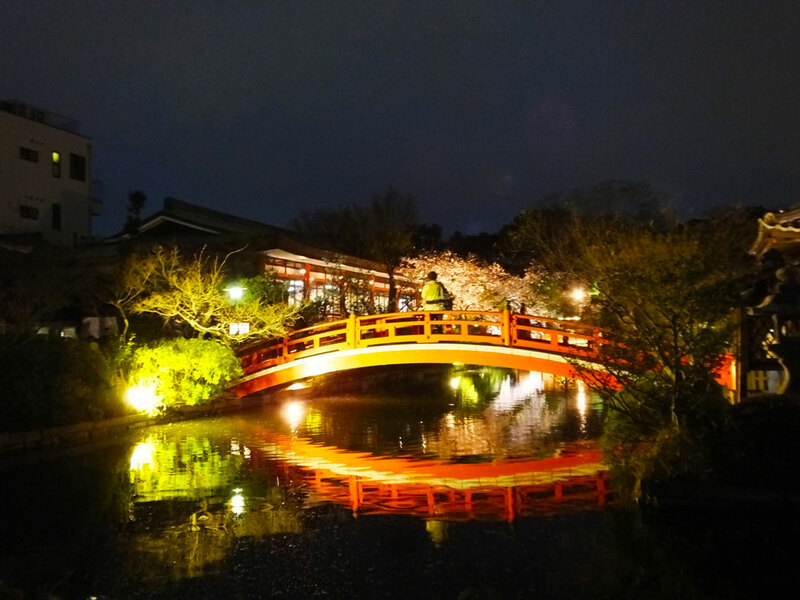 If you go to Nijo Castle, I recommend you to visit Shinsen-en garden, too. It is a beautiful place, so I think you will have a wonderful time there.